In July 1925, the State of Tennessee put a substitute biology teacher named John Thomas Scopes on trial for teaching children about evolution in the Tennessee public schools. The American Civil Liberties Union hired Clarence Darrow as the defence in what H.L. Mencken, writing for the Baltimore Sun, coined as the 'Scopes Monkey Trial'. The sensational trial took place in Dayton, Tennessee and was covered blow by blow on radio throughout the United States, as the colourful and bombastic three-time presidential candidate William Jennings Bryan argued for the prosecution. It was seen as a case pitting religion against science. It became a test for whether modern science could be taught in America's public schools. Editorial cartoon, Scopes Trial of 1925 in Dayton, Tennessee, Wikipedia. Scopes was convicted. Teaching evolution remained illegal until 1967 when the Butler law was expunged. Then in 1968, the U.S. Supreme Court ruled that such bans contradicted the 'establishment clause of the First Amendment' because their purpose was religions. Today, the issues argued in the Scopes Trial seem archaic on the one hand, but they're relevant on the other, as arguments about science vs. religion continue. I was reminded of the Scopes trial this week as I followed the uproar over newly-appointed Governor General Julie Payette's comments to scientists in Ottawa. She went on: "And we are still debating and still questioning whether life was a divine intervention or whether it was coming out of a natural process let alone, oh my goodness, a random process...And so many people — I'm sure you know many of them — still believe, want to believe, that maybe taking a sugar pill will cure cancer, if you will it! And every single one of the people here's personalities can be determined by looking at planets coming in front of invented constellations." Rex Murphy wrote a sometimes hard-to-follow take down on Payette's speech and asked: "In this wonderfully diverse Canada that Ms. Payette now represents, was it her intent to ridicule the religious beliefs of so very many faiths whose cosmologies include a divine creation?" The Toronto Sun editorialized that Payette had overstepped her role. "Canadians hold a diversity of views on religion and climate change and the GG, who on behalf of the Queen represents all Canadians, has effectively suggested those who disagree with her views are ignorant. It’s difficult to imagine her Majesty making such pronouncements." For the record, Prince Charles, is a vocal and constant critic of climate change deniers. Prince Charles announced last January he will co-author a children's book on the subject and from his regal perch, he has called climate change skeptics 'the headless chicken brigade.' While he may not carry the burden of the limitations of a 'purely ceremonial' role, he certainly does represent the Crown and there is no evidence the Queen has made any efforts to reign him in. Back in Canada, Robyn Urback, a columnist and opinion editor at CBC, asked: "In what universe is it appropriate for a Governor General to deride people for their beliefs?" Taking a different angle, Stephen Maher, writing in Maclean's expressed discomfort with Trudeau's support for Payette in a column entitled, "The risky tag team of Julie Payette and Justin Trudeau." Conservative Party Leader Andrew Scheer leapt at the juicy opportunity to leverage the moment. "It is extremely disappointing that the prime minister will not support Indigenous peoples, Muslims, Jews, Sikhs, Christians and other faith groups who believe there is truth in their religion," Scheer said in a statement posted to Facebook. "Respect for diversity includes respect for the diversity of religious beliefs, and Justin Trudeau has offended millions of Canadians with his comments (defending Payette)." Connecting the dots? Not really. The leap from Payette's speech to Scheer's attack on Trudeau's support of Payette to mean the prime minister does not support Muslims, Jews, Sikhs, Christians and "other faith groups" was difficult for me to make. While I, myself, couldn't see the dots the critics were attempting to connect, I could imagine these (to me imaginary) dots becoming the foundation of the 'fake news' we'll see over and over in the months leading up to the next federal election. That remains to be seen. Meanwhile, it all served as a convenient distraction today from the simple truth that climate change is real, and that meeting Canada's climate goals is a huge challenge given that tens of thousands of Canadian jobs depend on the high carbon development of natural resources. But meeting this challenge and debating it openly and civilly to find sensible solutions is urgent. It is an ethical imperative for those who hold power to be brave and bold in their embrace of the complexities. Just last month, Pope Francis told CNN that history will judge those who deny climate change, and those who do nothing about it. "We will not go backwards. We will go down. That is true. Climate change, you can feel the effects and scientists tell us clearly the road to take. You see all of us have a responsibility, some small some big, a moral responsibility to not accept it, to give one’s opinions or to make decisions. And we have to take it seriously. I think it is something we cannot joke about." Italics are mine for emphasis. But, as we know, history is cyclical and we are doomed to repeat the same scenarios over and over. Technology advances and so much else changes and yet so much stays the same. We debate ancient questions over and over again. New political leaders arise and an always sensational news media remains hungry for dramatic flourishes that make juicy soundbites. In the years since 1925 and the 'Monkey Trial' in Dayton, Tennessee, scientists have split the atom, found a cure for polio, figured out how to transplant organs from one person to another, and sent a human being to the moon. Since the Scopes trial debated science vs. religion much has changed and so much remains the same. As Clarence Darrow commented nearly a hundred years ago, "History repeats itself; that's one of the things wrong with history." I'm with Pope Francis, though not a Catholic. And with the Governor General, though not a Liberal. It's pretty rich hearing how insulted Canadians are by her remarks. They seem fairly innocuous to me, particularly for an address to a room of scientists. The idea that we pick our representatives of the queen only from people who have no ideas....or learning....or passions seems pretty lame. Particularly coming from acerbic mouths like Rex Murphy. Let's get rid of such pablum seekers and expect more intellect from all our leaders. Of course we won't all of us always agree with them. Most Canadians can live with that. Ironically though, the margins of our society still believe that religious 'beliefs' and articles of faith should be respected....while scientific research can be called into question on a daily basis. Thanks for including her comments...I didn't find them 'mocking'...to me they sounded gently incredulous. And it is pretty incredible that belief in whatever.....let's say the belief that women being rendered invisible behind loose dark robes is a sacred duty....must be respected, but robust science can be debunked at every turn. I support religious freedom; I am dead set against religious beliefs checkmating science....or any religion having the power to silence alternative views. Yes...we live in a diverse world. Some fundamentalist thinkers need to get used to that and do something about their incredibly thin skin. People might start to suspect they are just trying to silence the Other. Thanks for your comments, Mary. What is fascinating to me, as well, is the accusation that she stepped outside her role as Governor General by talking about climate change. Indeed. 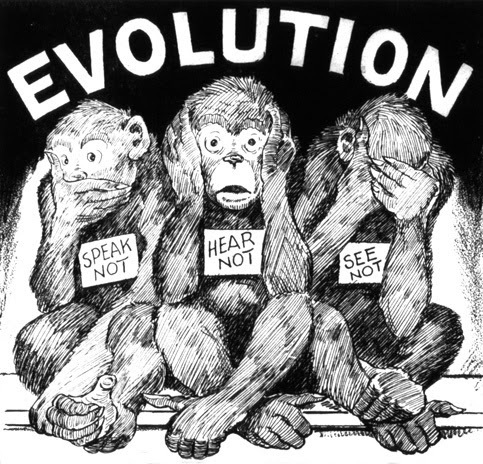 The controversy around the GG's remarks reminded me of the Scopes Monkey Trial too. We can see the results of overreliance on "magical thinking" by looking at the political situation in the USA and considering its roots. Let's not go down that road. I give thanks that some of our leaders are willing to defend reason and critical thinking. If that doesn't fit into our conventional ideas of what is appropriate for a Governor General to say, maybe it's time to expand those conventions. Or, God forbid, get rid of Canada's ties to the monarchy and an unelected Head of State entirely!